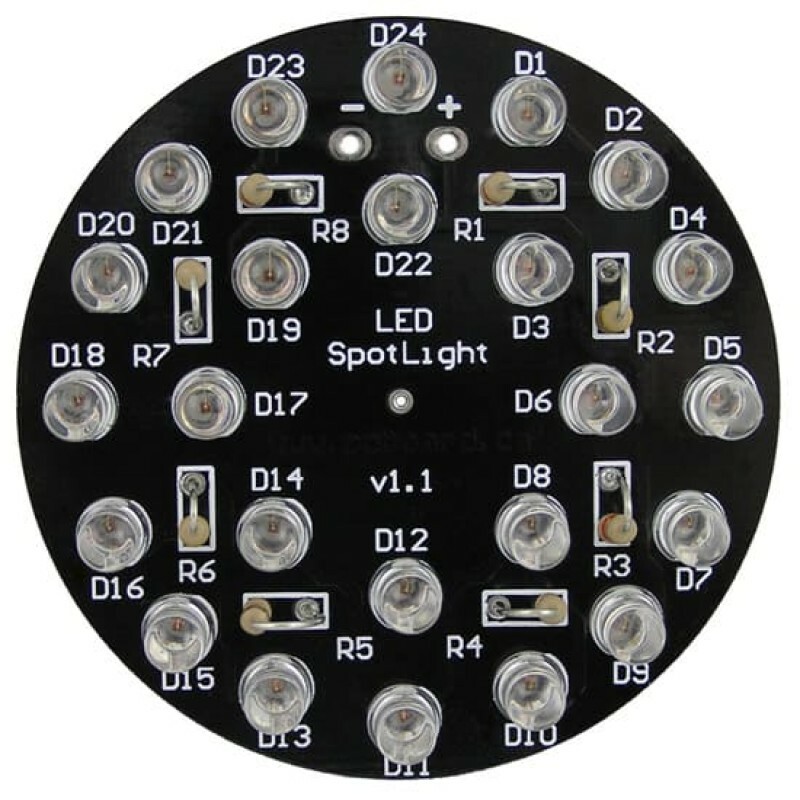 The LED Spotlight uses industry standard LEDs of any color including White, Red, Green, Blue, Violet, Pink or Yellow models. 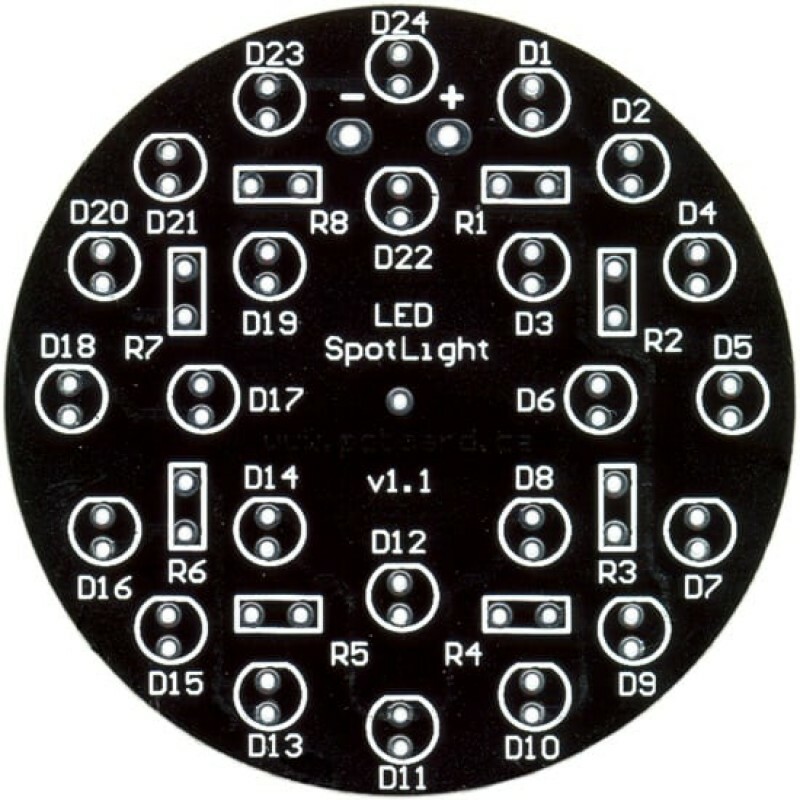 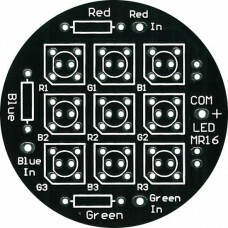 Unique system conveniently holding 24 LEDs in a circular pattern on a compact 2 3/8" (60mm) diameter jet-black board. 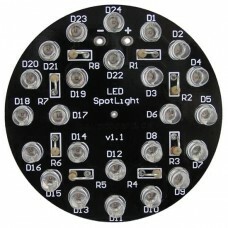 For more information and technical details on the LED Spotlight, please visit our Support Site. 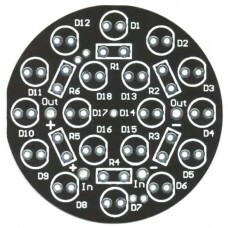 DIY (do it yourself) system holding 24 850nm or 940nm IR LEDs in a circular pattern on a compact 2 3.. 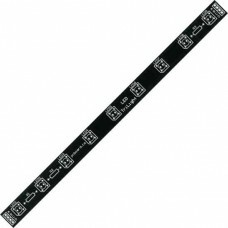 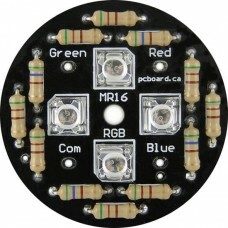 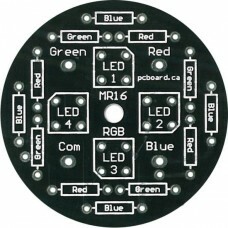 The LED MR16 uses industry standard LEDs in 3mm, 5mm or Piranha models of any color including White,..